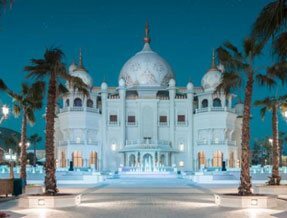 Experience amazing at Dubai’s new world-class theme park destination - Dubai Parks and Resorts - where East and West meet to form the greatest show on Earth! 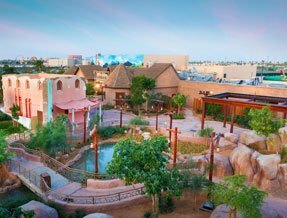 With three individual theme parks and one waterpark, this is the largest integrated entertainment destination in the Middle East - covering 25 million square feet for pure entertainment pleasure. 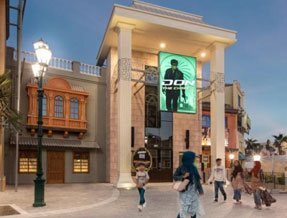 Experience the best of Hollywood at MOTIONGATE™ Dubai, dance like no-one's watching at Bollywood™ Parks Dubai, awesome awaits at LEGOLAND® Dubai and splash out at LEGOLAND® Water Park. Three of the largest and most successful Holywood movie studios Tickets from £25pp combine to make your all-time favourite movies come to life. 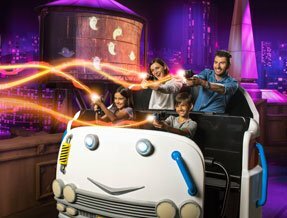 MOTIONGATE™ Dubai features 27 movie-based rides and attractions including Cloudy with a Chance of Meatballs, Hotel Transylvania, Ghostbusters, Shrek, Kung Fu Panda, Madagascar and The Hunger Games to name but a few... plus visit Smurfs Village and meet your favourite characters. Immerse yourself in the movies and create your amazing and interactive movie experience today! Start your journey by stepping into Studio Central. You'll be transported back to the Golden Age of cinematography to see the real-life movie sets of New York City. Take a peek behind the scenes and uncover the secrets of filmmaking, from theatrical shows to the executive offices to discover the ins and outs of a working movie studio. Hang on to your hats! You are in for a ride of a lifetime, Green Hornet style. Who you gonna call? Join the Ghostbusters as they battle to save New York City from the paranormal. Become a vampire warrior and battle the Lycans in the supernatural universe of Underworld. 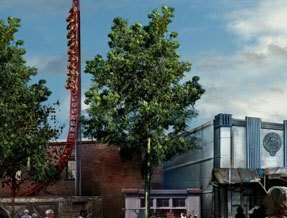 This action-packed land features 7 attractions including jaw-dropping roller coasters, a family water ride and interactive shows where zombies rule, ghosts roam and meatballs fall from the sky. Train your dragon and soar through the skies on Toothless or join Kung Fu Panda and the Furious Five for an epic martial arts adventure. Discover four diverse lands based on the blockbuster classics Kung Fu Panda, How to Train Your Dragon, Madagascar, and Shrek – all entirely indoors! 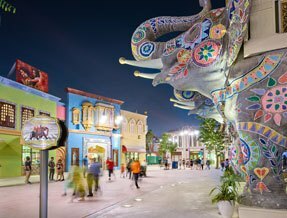 With 12 ultimate attractions, roller coasters, family rides, shows and interactive play zones will make for an experience that you will never forget. This is where the energy’s at! 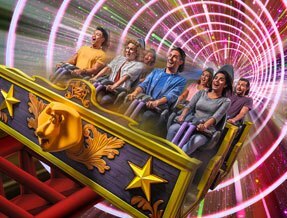 Exhilarating attractions and high-energy live stage shows will take your breath away at the Lionsgate Zone. Step aboard the Capitol Bullet Train for a 360 degree thrill from The Hunger Games, dance your heart out with street performers and live music with Step Up: All In and Step Up: Revolution. Adventure awaits at Smurfs Village. 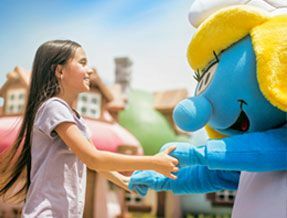 Get face to face with your favourite friendly blue friends, step into the mushroom-top houses and explore the 5 immersive attractions including interactive play zones, family rides and a delightful theatre show. Great fun for young and old! 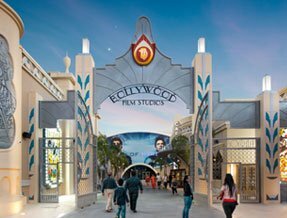 The world’s first Bollywood themed park features 16 rides and Tickets from £25pp attractions from Bollywood’s greatest hits including Rock On!! and Don. 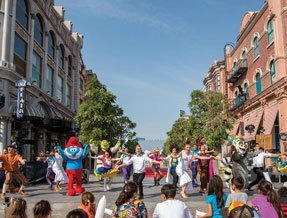 Join the excitement of live entertainment throughout the park and with nightly Bollywood musicals. Colourful cafes and live entertainment await at Bollywood Boulevard, enjoy the buzzing atmosphere and get the party started at the Rock On!! Restaurant. Taste the street food and feel the energy of Mumbai, take a look behind you to see mafia boss Don chasing through the streets of Dubai. Set in a picturesque rural setting, feel the spirit of India and be part of never-ending adventures with Bollywood classic Dabangg, Lagaan and Sholay. Experience a visual extravaganza before your very eyes at the region’s first Broadway-style Bollywood musical venue - Rajmahal Theatre. Cut! Meet your favourite Bollywood characters Krrish and RA.One before stepping into Bollywood and see how the blockbusters such as Zindagi Na Milegi Dobara are made. 40 interactive rides, shows and attractions. 15,000 LEGO® Tickets from £25ppmodels built from 16 million LEGO® bricks. 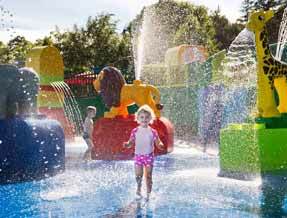 Plus LEGOLAND® Waterpark – 20 slides and attractions, perfect for children aged 2 - 12. 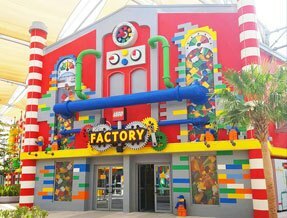 Your LEGO® adventure begins at the Factory, go behind the scenes and see how LEGO bricks are made on the LEGO® Factory Tour before visiting the largest LEGO® store in the Middle East - The BIG Shop. 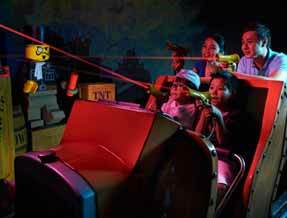 Your imagination becomes reality at LEGO® City - fly a plane, steer a boat, save a burning building or even earn your very own LEGOLAND® driving license! LEGO® fans let loose - build to your heart’s content! 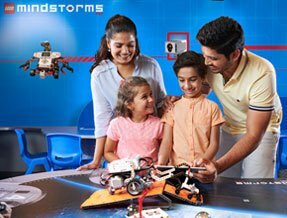 Create and race a LEGO® car then build with LEGO MINDSTORMS® robotics before spinning round on the Technic Twister. Make your way up to Kid Power Towers to see the entire park in all its glory. Conquer dragons and become an apprentice in this medieval land. 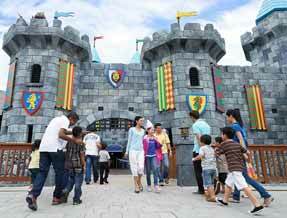 Ride the coasters through the King’s castle and become a knight or princess for the day before taking Merlin’s Challenge. Let the adventure begin! Dive in to an underwater world, dodge the water blasts as you power ski on Wave Racers then discover the secret of Pharaoh’s stolen treasure. 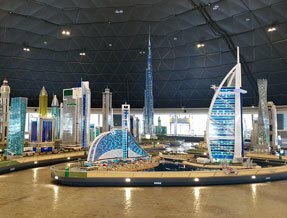 At the heart of every LEGOLAND® Park is Miniland – hand-crafted from 20 million LEGO® bricks you’ll be amazed by the iconic Dubai LEGO® skyline in miniature, this is an area not to be missed! This unique waterpark has been designed especially for younger Tickets from £25ppchildren aged 2-12. With over 20 water slides and attractions, your little ones will love the perfect mix of LEGO® and water. Build a LEGO® raft and take on the Joker Soaker if you dare! 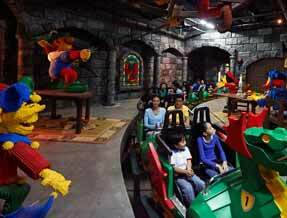 LEGO, the LEGO logo, the Brick and Knob configurations, the Minifigure and LEGOLAND are trademarks of the LEGO Group. © 2017 The LEGO Group. LEGOLAND is a Merlin Entertainments brand. © PEYO - 2017 – Lic. Lafig Belgium – www.smurf.com. Cloudy with a Chance of Meatballs - TM & © 2017 Sony Pictures Animation, Inc. All Rights Reserved. The Ghostbusters - TM & © 2017 Columbia Pictures Industries, Inc. All Rights Reserved. Madagascar, Penguins of Madagascar and all other related characters and properties © 2017 DreamWorks Animation LLC. How to Train Your Dragon and all other related characters and properties © 2017 DreamWorks Animation LLC.